Most Android handsets come without so much as additional apps or games. Maybe they're thinking that the user can always download a lot of games and applications (most of which are free) from the Android Market, still it would be nice if they were thoughtful enough to include one for our plesaure. 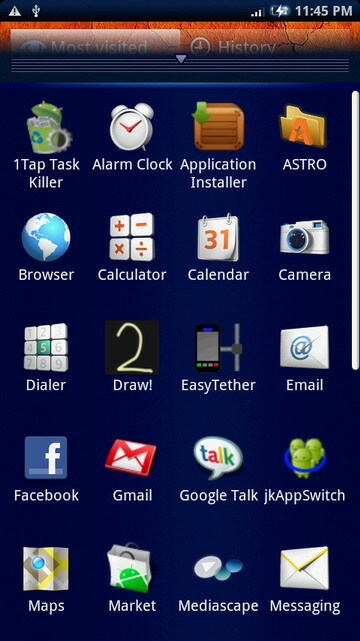 Thankfully, Sony Ericsson did just that with the Xperia X10. 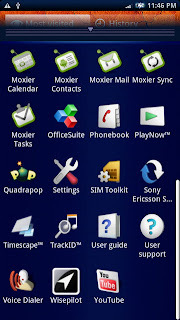 The Sony Ericsson Xperia X10 has more included apps than any Android mobile phone that I've reviewed. First and most important, the Moxier applications. As I've mentioned, the Moxier applications comes in five: Calendar, Contacts, Mail, Sync, and Tasks. This application allows you to sync with your company's Exchange Server so those businessmen who wrinkles their nose at Gmail and Google's privacy issues can rest assured that a third party would be handling their syncing. As I have no Exchange Account, I wasn't able to test these applications but as far as I can tell, they're the full version. There's also a third party navigation software: Wisepilot. You can easily activate it by sending an SMS to a UK number (international SMS rates apply) and you can get turn by turn navigation. Unfortunately, unlike OVI Maps, not all areas are supported. I wasn't able to test the turn by turn navigation on WisePilot because I'm abroad and there's no available map for the country I'm in. There's one included game: Quadrapop. Yes, it's a measly single tetris-like game but it can kill time and one is better than zero.